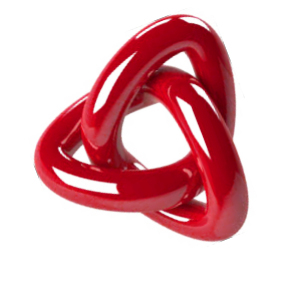 This world model combines several seemingly contradicting properties of our world without adding any new ones. It also bridges to the view of the Universe as a system of resonances of vibrations (e.g. the ancient Spandacarica , see also the modern description of Daniel Odier ‘La Voie’) and especially the modern notion of ‘chakras’. In short, it is postulated that the physical reality is structural congruent with the energetic reality (chakra system and energy bodies in general), and with its mathematical abstraction as vibrational system in general (via the Helmholtz Equations). The German physicist Hermann von Helmholtz (1821- 1894) explored the the interfaces between physics, physiology, and psychology. 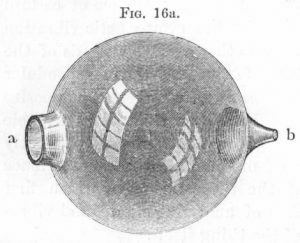 His book “On the sensations of Tone” (1862) provided a generic model of a universal resonator (see image above). The model proposed favors the premises and conclusions of the theory of Shape Dynamics.and its restriction to “objective observables,” in respects to the phenomenon of time while maintaining the framework of Einstein’s theory of General Relativity. In the heart of the ‘Planets on a string’ model we find the concept of a concave Earth, an unproven but not (yet) falsified theory of the model of our world. (For a comparison between models of Earth, see Concave Earth Theory). The problems of pole anomalies find surprising answers when we replace a closed sphere with open-ended sphere, an object proposed by Helmholtz in 1892. We can now combine more than one Earth to a string of Earth implementations which are connected via its pole openings. Such a structure is strikingly similar to the human ‘chakra system‘ and we can posit this to be based on a general structural conformity. If so, such structures follow the proportions according to the Fibonacci series which can be called a general growth function. In other words, we can see the physical world manifestation based on ‘natural’ growth and integrate ‘time’ as a geometric vector according to Shape Dynamics. The ‘Planets-on-string’ Model provides us with a direct link to the basic equations of the Universe, known as the Maxwell’s Equations and their relation to the Helmholtz Wave Equation. A concise yet simple demonstration of how this works has been written up by Benjamin Klein here. Many of the properties of these models can be observed (and used!) directly during awareness-based clearing, notably the ‘right-angle’ method and the resonance method in Epigenetic Tuning & Reprogramming, hinting further to the universal applicability of this model.